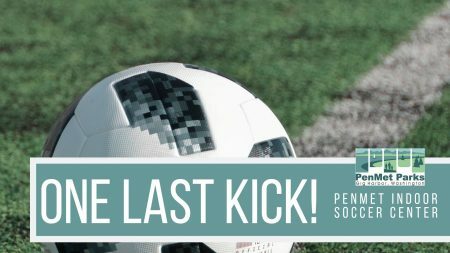 Join us for ONE LAST KICK @ The PenMet Indoor Soccer Center! We invite you to share your stories, enjoy open play time on the turf, listen to guest speakers, enjoy food/refreshments and a look to the future of indoor recreation in our area! This event is for all to enjoy! So load up the family, grab a soccer buddy or just show up in support and ready to have a good time!